The BMW E36 generation of 3 Series is one of the most affordable, desirable cars on the used market today and there’s very little reason not to buy one. I say this because I have been bewitched, bewitched by this comparison test involving the top three British touring cars of 1992, some furious shifting and a lot of teal. Back in the olden days of, what is this now, old-old-old Top Gear? Old-old Top Gear? I can’t keep track. In any case, back in the ‘90s lovable F1 reject Tiff Needell used to present on the BBC car show, regularly driving different race cars and reviewing them. He gave us probably the most cuss-filled broadcast in TG history, as well as many other wonderful segments, this one included. 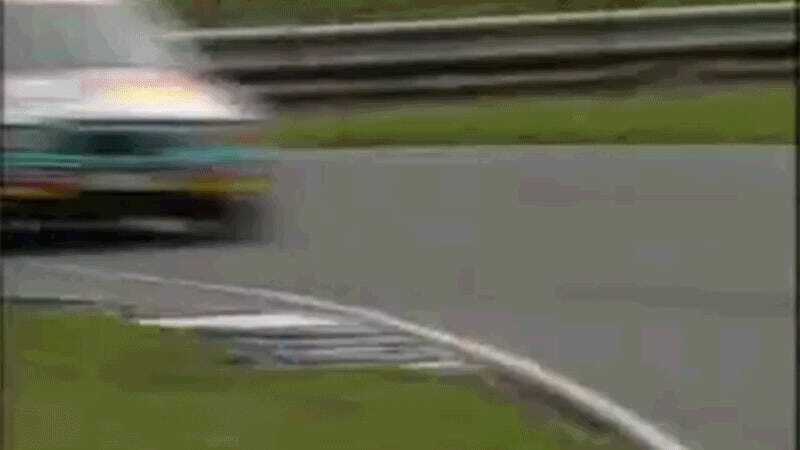 Tiff drove the top three finishers of the then-previous BTCC season, right in the midst of the series’ golden years: a Vauxhall Cavalier, a Toyota Carina and the BMW 318is. The Vauxhall and Toyota were both wild, “alive” as Tiff put it, but neither as sweet-handling as the rear-drive BMW. Remember that this BMW was a very well-developed car in its day, but it’s still at its base just a stripped and caged four-cylinder 3 Series, the shell of which is still pretty much as cheap as a car is going to get these days. While it took a top-flight race team to prep this as a championship-winning car back in the early ‘90s, there’s very little stopping someone from making an equivalent recreation of the concept in a home garage. There’s not much more to it than a 2.0-liter S14 with about 270 horsepower, a six-speed sequential transmission and about 1,025 kilos to throw around, per TouringCarRacing.net. Well, if there’s plenty of teal paint lying around, at least.